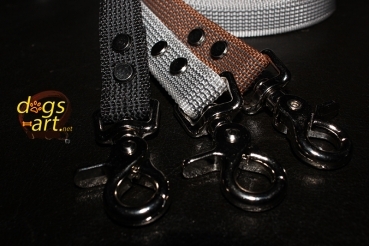 These tough and durable easy grip leash without handle provide non-slip handling anywhere on the leash. Handmade of lightweight, UV-resistant, rubberized (6 rows) nylon and a durable nickle square eye snap hook. 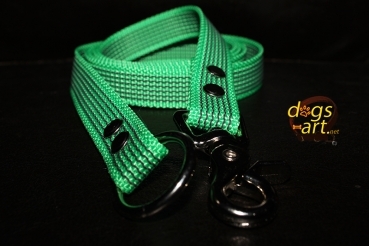 This listing is for a 5ft handmade leash, 7/8" (20 mm) wide. We have currently 11 Colors available. 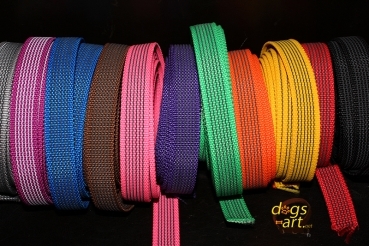 We are also offering 4ft and 6ft leashes. Please let us know if you don´t see what are you looking for.